Published in the pages of a ruralist magazine back in 1997, the notice went on to gain notoriety on the Internet as well as on Jay Leno's The Tonight Show. Even before its authorship and veracity were finally accounted for in 2010, its core idea piqued the interest of screenwriter Derek Connolly and director Colin Trevorrow, who decided to create their own backstory for the ad's mysterious author and spin from it a gently romantic tale. The result was a scruffy, high-concept indie comedy, one sadly scheduled to leave Netflix on August 12 (at 11:59 P.M., for those watching the clock). 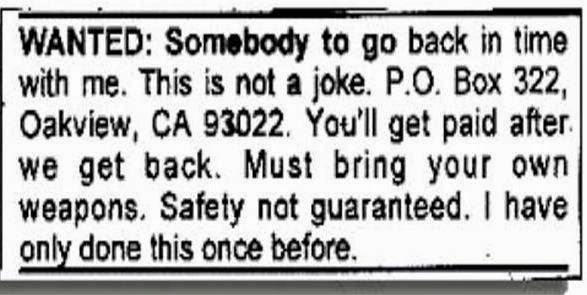 It's not really accurate to call Safety Not Guaranteed a science fiction film—or even a time travel movie. It's more about the idea of time travel, and about the relationships that spring up around that oddball ad. Director Trevorrow described it as "a traditional mainstream movie inside a small, independent film." 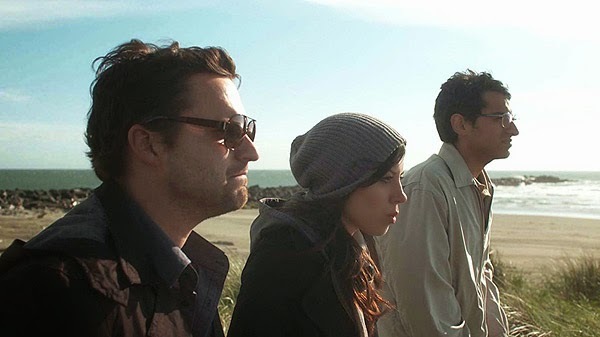 And despite its high-concept hook, it still—like the best indies—puts its characters first. The story begins when three of those characters are sent out of town by a Seattle magazine to find the man behind the advertisement. Cynical journalist Jeff (Jake Johnson) and his two perplexed interns (Aubrey Plaza and Karan Soni) need to determine if the ad was written a) in good faith, b) as a deliberate hoax, or c) by a crazy person. The obvious answers are 'b' and 'c'. But if 'b', then Why? And if 'c', then How crazy? Either way, there's a story to be had. 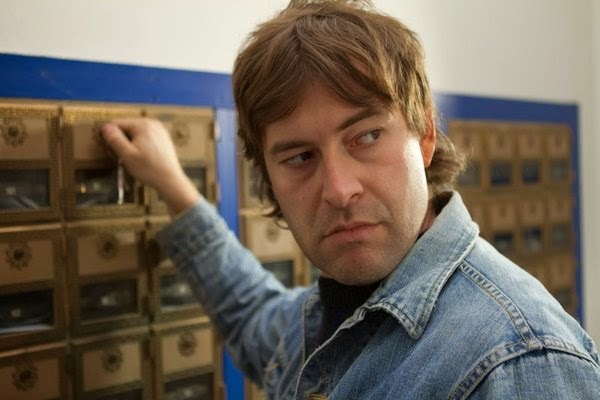 After an initial attempt to make contact with Kenneth, the nerdy survivalist who wrote the notice (played by Mark Duplass), Jeff decides that Plaza's Darius—with her "weird mojo" and offbeat femininity—is better equipped to convince Kenneth she wants to join his expedition to the past. Jeff seems more interested anyway in tracking down his high school ex, whom he's hoping will help him reconnect with his younger, less jaded self. Darius, who's lived beneath an isolating cloud of depression since her mother's death 10 years before, does her awkward best to gain Kenneth's trust. Plaza's snarky deadpan and intense gaze combine with a comic delivery that's all her own—the cute geeky girl of every nerd's dreams. In other words, the perfect match for Duplass's Kenneth, who counters her cynicism with a vulnerability and intensity that become infectious. He may be a loony who's not always easy to take seriously, but he's also a kindred spirit. Plaza does a superb job of seeming to humor him at one moment before losing herself within a genuine emotion the next. As the question of Kenneth's sanity takes center stage and Darius finds herself being pulled deeper into his increasingly risky world, the possibility of time travel—both literal and metaphorical—takes on a more poignant and romantic turn. Sharing some of its DNA with 2000's equally admirable Happy Accidents (alas, no longer streaming), Safety's tone is more lightly comedic—which makes sense given the comic chops of its cast. Both Plaza and Johnson built their reputations in sitcoms (Parks and Recreation and New Girl, respectively), while Duplass, a veteran indie filmmaker in his own right (with his brother, Jay), regularly improvises comic absurdities on FX's underseen The League. All three shine here, with Plaza in particular proving she's capable of carrying a movie on her own (as she again did in last year's raunchy The To Do List). 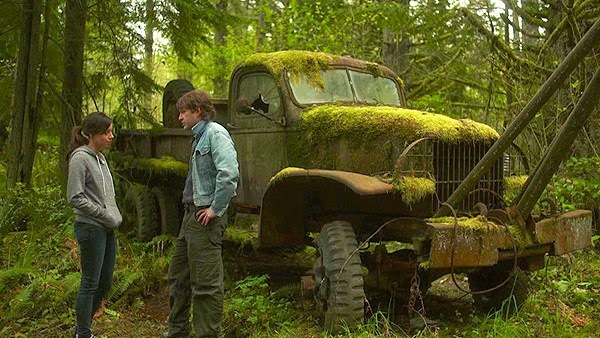 Produced by the Duplass brothers and made for a paltry $750,000, Safety Not Guaranteed gives the lie to big-budget Hollywood's insistence on substituting special effects for emotional depth. With a plot hinging not on fantasy or science but on its characters' relationships with the past (and each other), the film is charming and heartfelt and a bit quirky, but thankfully minus the crust of irony and self-awareness that infects a lot of indies. Will watching it change your life forever? Probably not. But it should make you smile, perhaps give you a new celebrity crush (you can guess who mine is), and its 85-minute running time will move by with nary a blip. Among experiences you'll later come to regret, this certainly won't be one of them. Catch it now, before it becomes yet another artifact of Netflix past. NOTE: This title expired on 8/12/14. If you're considering purchasing the DVD, please support this site by using the link below. Thanks. Saw this movie the evening before it expired. Truly a "hidden gem". Glad you were able to catch it!